Trees can look majestic when ice laden, but if it gets thick enough, it can be very hazardous. Home » Helpfull Tips » Trees can look majestic when ice laden, but if it gets thick enough, it can be very hazardous. 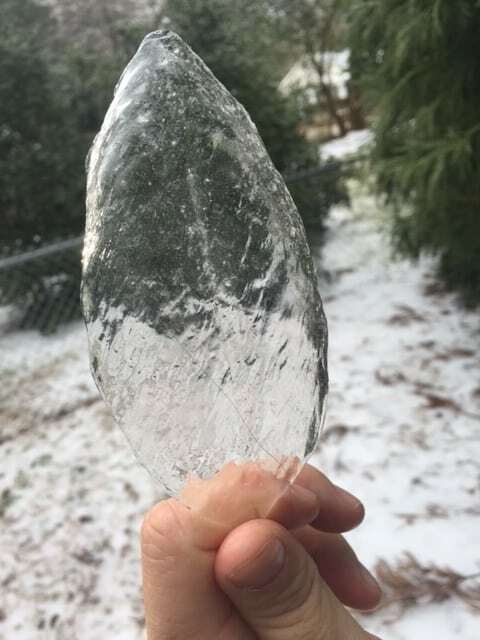 It looks as though much of Charlotte is covered in ice, but here in south Charlotte the unmistakable loud snap, crackle, pop (and I’m not talking rice cereal) doesn’t seem to be happening. That sound is the breaking of tree stems and branches breaking under the weight of significant ice. Ice can cause tree branches to weigh 30 times the normal weight. 1/4 and 1/2 inches of ice can break small branches and weak limbs. 1/2 inch to 1 inch accumulations can really cause some serious trouble, breaking larger branches and sections of trees. V shaped unions in trees (when the crotch is very V shaped) are more likely to have included bark and fail under stress than unions that have a U shape. Decayed areas and disproportionate branches are also more prone to give way under the weight of heavy ice. Proper maintenance of urban and suburban trees is extremely important. Having your trees inspected, pruned, and possibly cabled can be very helpful in making your trees less likely to fail in all sorts of conditions. Please contact AAA Tree Experts for more information.